How old where you, when you started to take of your skin? Working as a Beauty Expert I see girls and women of all ages "starting to take care of my skin" on a daily basis. Women of all ages, teens, moms, mature, seniors...I'm always amazed on how little or how extreme women are when it comes to cleansing or moisturizing their skin. I get the "I've never used anything but soap", "I use body lotion for my face", "I use nothing", "I use baking soda" to the women who use it all, wipes, cleansing water, exfoliants, cleansers, toners, masks....and so on. 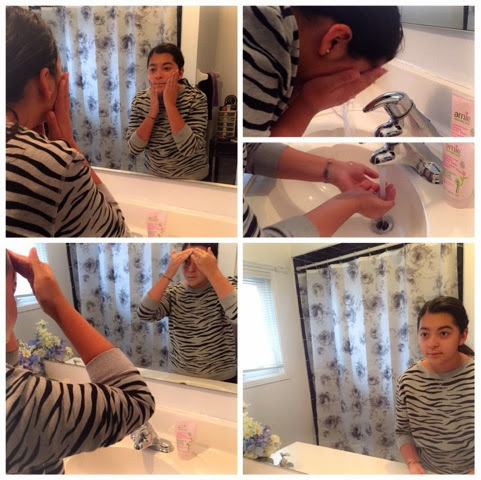 I started about the age of 13 when my mother started to sell Avon products, I started to teach my daughters to take care of their skin since the day they started to brush their teeth...so pretty young. Just the basics, brush your teeth and wash your face with a very gentle milky cleanser and apply a gentle light moisturizer. When my eldest hit puberty, we stepped it up a bit and used products to combat teen hormonal skin issues. This was before I was lucky enough to receive skincare products for review...now she uses amazing skincare, that post will be coming up soon. Now, amie cosmetics has been very generous in sending my way their new skincare line that my tween has been using for a few months now. As a preteen, she's 12 and 1/2( the half matters people!) She has started to wear mascara and tinted lip balms on a daily basis. So, I introduced her to Amie gentle facial cleansing wipes to gently remove her mascara every night, every night! even if she's tired. These wipes are so gentle but effective at removing all her mascara and the times when she falls asleep I use them to clean her face, yes while she's sleeping..#momduties. 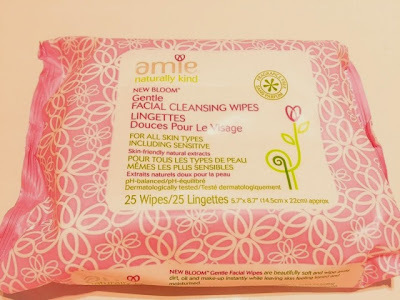 The amie Gentle facial cleansing wipes (SRP $6.50 FOR 25 WIPES) are great for all skin types including sensitive skin. They contain pomegranate, cranberry and green tea extract to help soothe the skin. They remove dirt, oil and makeup. 100% fragrance free. They leave your skin clean and radiant. Her daily morning and night routine are basically the same for the exception of at night she uses the Gentle facial cleansing wipes to remove her mascara. 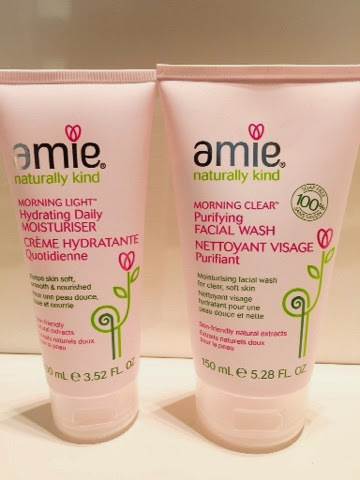 The amie morning clear Purifying FACIAL WASH (SRP$10 150ML) contains Orange blossom and raspberry tones pores leaving her skin clear, clean, radiant and soft. This wash is soap free, has 96.8% natural ingredients like mayblossom and elderflower which purify, decongest the skin and control oils to prevent any unwanted pimples. Natural sugar moisturisers keep the skin from drying out while sweet almond oil softens the skin and Cocoa seed butter nourishes. The amie morning light Hydrating Daily MOISTURISER (SRP $12 100ML) perfect for gentle sensitive tween skin, its natural blend of plant extracts and natural ingredients keep the skin soft and hydrated all day long. It's so lightweight and the scent is a lovely rose scent that is quickly absorbed and gives all day hydration. Some key natural extracts include a blend of Rose Canina fruit oil, Rosehip oil, Rosa Centifolia and Malva Sylvestris extracts. This combination of ingredients help the skin hold moisture, reduce dryness, soothe the skin and have a softening effect on the skin. Overall, we (Camila, my Daughter) and I, have fallen in love with these amie products and I love the way they are so gentle on the skin. So, if you have a tween in your house or YOU are a skincare newbie I truly recommend amie products for its priced so affordable, its so affective and so simple to use.